At Simi Valley Spine and Wellness, we take great pride in providing the finest chiropractic care to each and every patient. We have included information below about the different chiropractic services offered in our Simi Valley chiropractic office, but please call us at 805-581-2310 if you have any questions! We provide spinal correction and chiropractic adjustments utilizing gentle chiropractic techniques. Never in the history of chiropractic care have chiropractors been able to provide the level of help and expertise that is available today. Many of the newest chiropractic techniques are actually safer, more comfortable and more effective than ever before. As a chiropractor who cares about utilizing the most advanced chiropractic techniques, Our Doctor's have years of training, expertise and experience in helping patients get pain relief for back pain, neck pain, headaches, and other related conditions originating from the spine. Chiropractic care under a trained professional can even be used to prevent injuries and help you achieve total health or wellness. At Simi Valley Spine and Wellness, we teach our patients how to perform special "blueprint" exercises which can help strengthen and correct the irregularities in their body which may be causing pain. Many of these corrective exercises can actually be performed in the comfort of your own home to help improve the effectiveness of your chiropractic care and spinal correction plan. In addition to skeletal misalignment, you may be experiencing pain that is caused by muscles and connective tissues which are out of their proper place. Other types of pain such as back pain, neck pain, and headaches are caused by muscles and tissues that are being used improperly, causing injuries over time. In each case, targeted corrective exercises and stretches from our experienced chiropractor will help you feel good while also helping your body achieve balance and health. What does nutrition have to do with chiropractic care? The goal of chiropractic care is to help patients achieve total health and balance with their body, and as part of that goal we provide specific recommendations on nutritional supplements and healthy food choices. Nutritional counseling by our experienced chiropractic health professionals can assist a patient on their return to optimal health. Do you know which supplements and vitamins are good for you? Do you know how these supplements and vitamins interact with one another? At our Simi Valley chiropractic clinic, we can provide each patient with a structured nutritional program that is based on their individual needs. There is a saying that an ounce of prevention is worth a pound of cure. Your spinal health is no exception. Posture and spinal screenings by a trained and experienced chiropractor can help reveal important health information, unlocking the door to improved health and well-being. In order to help the Simi Valley community, we provide screenings at area malls, community events, health fairs and places of employment. Contact us today at 805-581-2310 to arrange a screening at your event or workplace. Are you spinning your wheels with fad diets? Do you have bad food habits you just can’t break? Hypnosis helps. 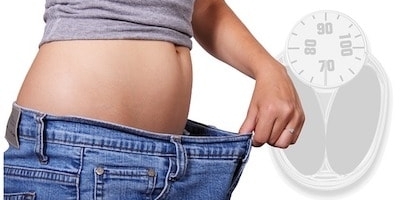 Hypnosis for Weight Loss deals directly with the habits, beliefs, attitudes, and behaviors associated with weight gain and can improve motivation for exercise, eliminate cravings and boost your energy. "I'm Katie and I've lost 65 lbs with hypnosis! Going shopping now is so much fun! You're worth the investment, you're worth the time and energy. If I can do it anybody can do it!" If knowing the dangers of cigarettes were enough to make you quit smoking, you would have by now. But there is more to quitting than just learning the facts. Have you tried the patch, the gum, e-cigarettes to no avail? Are you ready to be done with the dependency, the smell and the hassle? And what about all the money you’re wasting on cigarettes? It’s time you consider hypnosis. Hypnosis goes right to the heart of the matter. It deals directly with habits, beliefs, attitudes, and behaviors behind smoking. 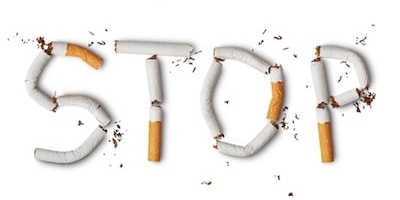 See what our clients have to say: "Twenty three years of smoking is gone thanks to hypnosis!" Stress is everywhere, you can’t escape it. The harder you try to resist, the more it appears. Insomnia, headaches, body aches, feeling down or overwhelmed can all be caused by stress. It's time you felt more energized throughout the day and focused on happier thoughts so you can create your life the way you truly want. Hypnosis offers an effective solution to help you have more control over your thoughts and emotions. Ginny, a real client says: "Hypnosis helped me break free of negative emotions that were tying me down and helped me sleep without prescription meds for the first time in years."